Fernando Alonso has hailed McLaren’s significant aerodynamic upgrade at this weekend’s Formula 1 Spanish Grand Prix as a “step forward”. 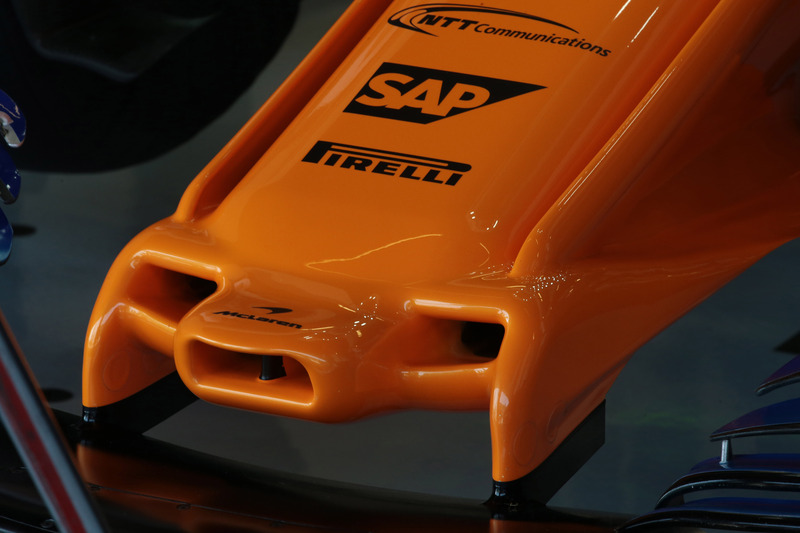 McLaren revealed its first major revision to its MCL33 this season having fallen behind initial development targets at the start of the campaign. The Woking-based squad’s update includes an extravagant nose modification, featuring a triple duct. The upgrade was introduced with the target of improving McLaren’s qualifying performance, having failed to reach Q3 with either car so far in 2018. Alonso, who has scored points in each of the opening four rounds of the season, believes his team can target the final segment of qualifying in Barcelona. “It was a step forward,” Alonso said. “From the inside I think there was more performance in the car, I felt better. I felt more grip. “I think the conditions were tricky today with the wind and the hot temperatures but I felt the car better so definitely a step forward. We will see tomorrow how much we will improve compared to the others. The Spaniard was sixth quickest with McLaren teammate Stoffel Vandoorne also in the top 10 in FP1 on Friday. Vandoorne remained ninth in second practice while Alonso dropped to 12th. Vandoorne said he is keen to remain grounded about McLaren’s chances heading into an “important” qualifying for the team. “I think the result looked quite promising but I think until we’ve done qualifying, put everything to the limit, then we won’t really know exactly,” he added.